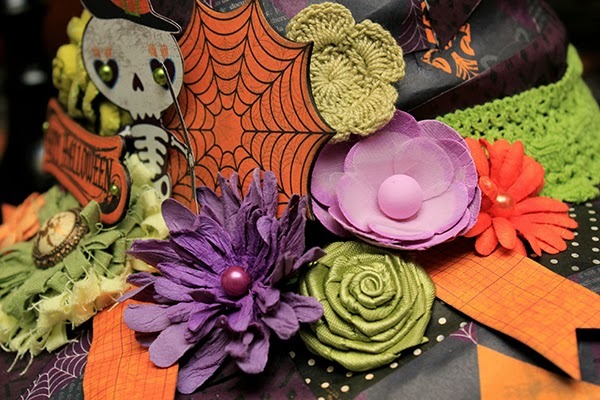 I have been sharing a lot of Halloween craft projects with you this month. 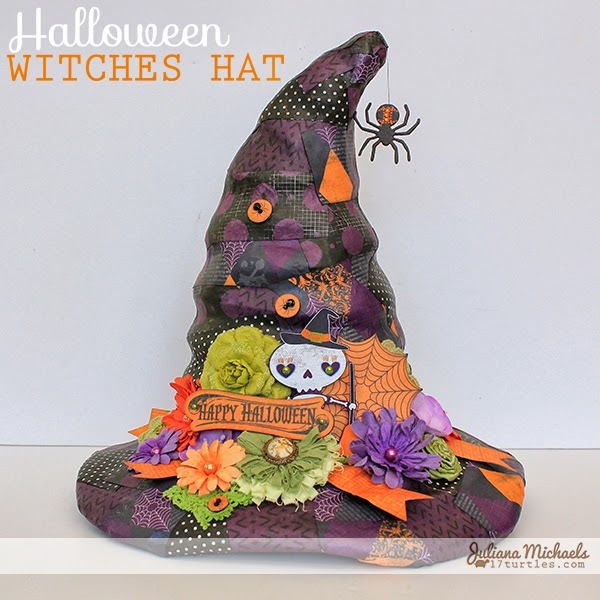 Today I have a fun Fright Delight Halloween Witches Hat that I made from a paper mache form that I found at Michaels. 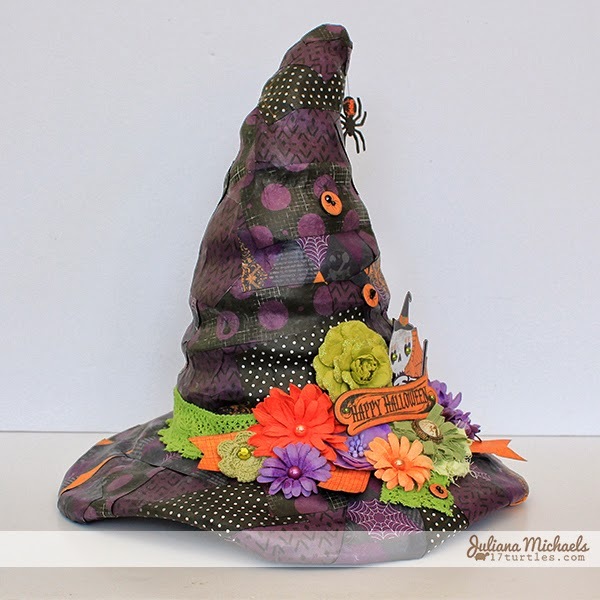 I then decorated it using the Fright Delight Collection by BoBunny. This is probably a little more complicated and time consuming than some of the other projects I have shared, but I can promise you that your time and patience to make your own will be well worth it! 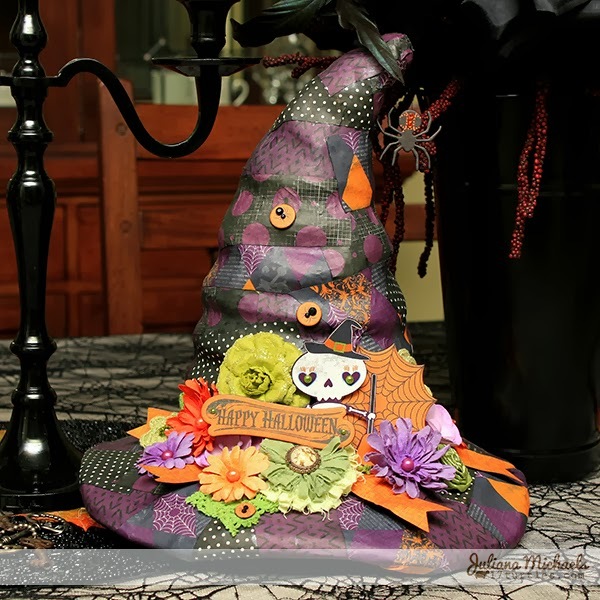 Here is my Witches Hat sitting on my dining room table! 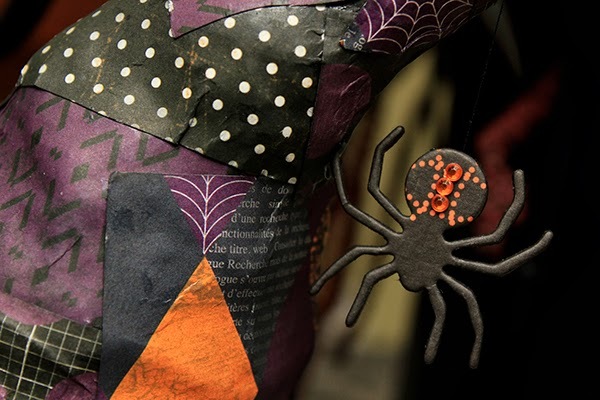 Cut random strips of patterned paper. Lightly spray a piece with water. Adhere liquid adhesive to back side of patterned paper. 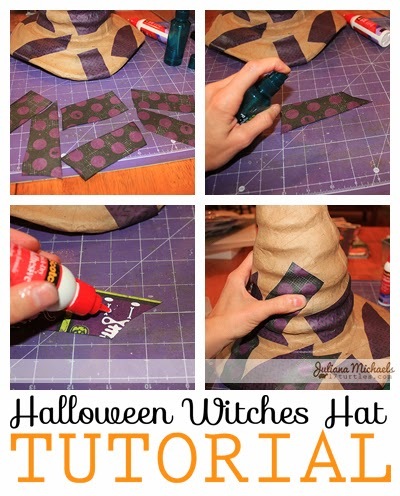 Mold the strip of paper to the paper mache hat using your fingers. Holding it in place as needed to let the adhesive dry. 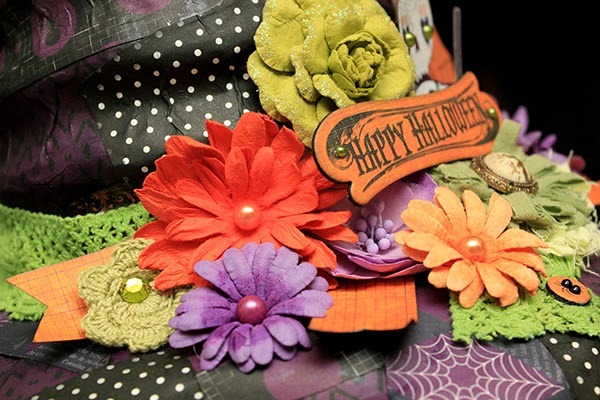 Repeat with various pieces and patterns of paper until hat is completely covered. 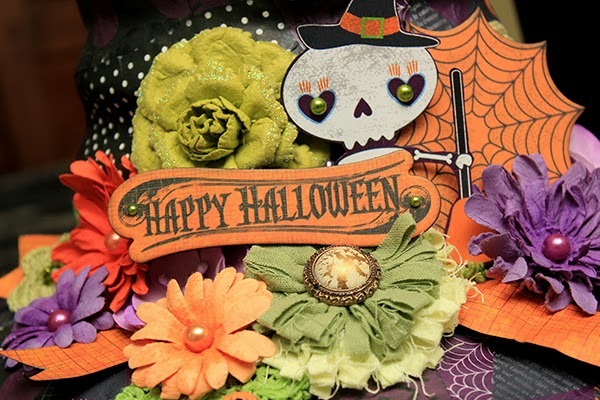 I would love to see your Halloween creations! Feel free to link them up below so that I can stop by and see them! What a cool project - love this! I just saw this on BB and ABSOLUTELY LOVEEEEEEEEEEEEEEEE it!!!! Awesome colors!! And HUGE CONGRATS on the MME GDT!!!!!!! 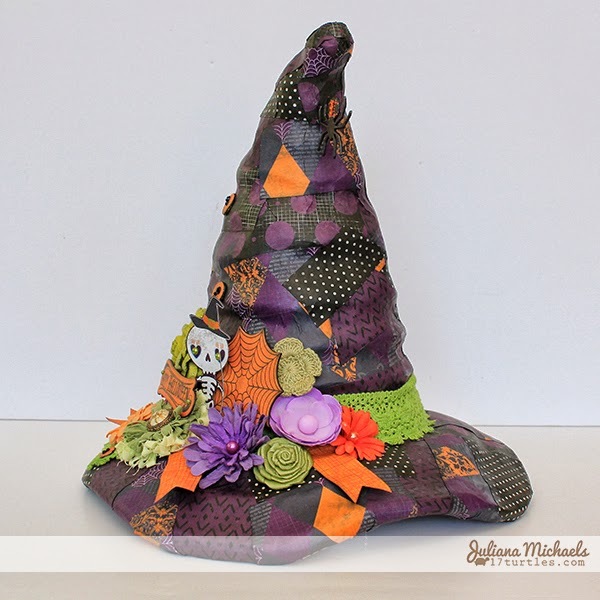 Such a fun project, Juliana!! Love how you embellished with the Bo Bunny collection! !